I don't have a specific topic in mind for today's post, so i thought I'd just have a little ramble and also share some of the results i got from the reader survey i did. I'm super busy at the moment prepping for my holiday on Wednesday; i honestly can't wait and I'm so ready for a little break away from reality. On top of being busy and sorting everything out, i decided i wanted to post everyday in July which up until yesterday had been going really well but my initial post idea failed and i spent the majority of yesterday hungover, attempting to pack and falling asleep so in the end i didn't bother. For the rest of the month thought, I've been driving myself crackers trying to get posts written and scheduled especially for the week that I'm away and it's taking me forever because i want it to be good content and not just any old rubbish so it's taking me quite a while. I recently did a post about a reader survey i asked for you to fill in. 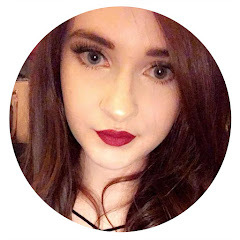 I love my blog a lot and i love writing posts and it's something i do for myself but as my following grows i also want to take note of what it is that you want to see too, so i found putting the survey together really helpful. I received some really lovely comments about my blog and it makes me so happy to hear that people are enjoying it because i really do put a lot of time and effort into it - one thing that i noticed is that a lot of people wanted to see less product reviews which is fair enough, I'm still going to be doing product reviews but I'm definitely making more of an effort to post them less often. However, i did find it slightly odd that people wanted to see less product reviews yet 60% said they were their favourite posts to read? A slightly mixed messaged but I'll try my best to find a happy medium. I really appreciated the many compliments i received on my photos too; I'm really happy with them at the moment, I've worked really hard on improving them and I'm going to continue to do so! One person suggested mixing up my photos with some shelf shots or going outside...i love that suggestion my only issue is that the lighting on my shelves is atrocious and I'd really love to do outside shots because i think the look lovely on peoples blogs especially over the summer but my garden (if i can call it that) is too small and doesn't really get much light in it which is why I've never done those before, but i really appreciate the suggestion and I'll do my best to find a way to mix them up a little. The other suggestion that i noticed to be quite popular was that you are enjoying lifestyle posts and would like to see more of them - i was surprised at this suggestion also, as i find my 'Life Lately' posts to be some of my least commented on. I do love reading lifestyle posts myself so i am really trying my hardest to cover more lifestyle posts and more of my life on my blog, however, i rarely do interesting things so it's not always easy to have content for lifestyle posts but i will try my hardest to post more. Thank you to everyone who filled in the survey, i found all the feedback to be so helpful and interesting to read and it's also made me really exciting about blogging because i feel like i have some kind of a direction that i want to head in.